9. What Can I Do? True love is more than a make out song, spouts The Rosebuds lead vocalist, Ivan Howard (along with Kelly Crisp on keyboard and Billy Alphin on drums). 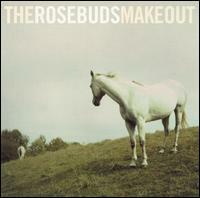 Ironically, the title of The Rosebuds first full-length album is Make Out, and that is exactly what this Raleigh, North Carolina trio have done. The word retro has become so redundant and trite, but it has to be said that this record oozes with so much 60s pop nostalgia it would make any listener feel compelled to get up and shimmy and rent Frankie Avalon films. The succinct 35-minute album begins with the whimsical track, Back To Boston," which evokes images of a wanderlust and jaunty joyride around town with the top down and your first love curled up next to you. With tracks like Kicks in the Schoolyard (includes a Smiths reference), My Downtown Friends and Wishes for Kisses," Howard exuberantly sings with giddiness about going to record stores and discovering young love as he belts out his ba, ba, bas, do, do, dos, yeah, yeah, yeahs and his prolonged choruses of: Youve got to k-k-n-o-ow how I fe-e-el. The sound is an explosion of fast drumbeats and extensive keyboard melodies which fluxuate between frantic to laid-back. 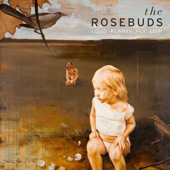 The Rosebuds have taken inspiration from The Ronettes just as uber band The Ravonettes have. Kitsch is cool, but like retro, too widespread. Luckily, The Rosebuds prevent themselves from falling into the abyss of gimmicks with their amalgam of retro cool and melodious love songs. The tune Big Heartbreak is one of their most measured and meticulous tracks. It begins with what sounds like horse hooves on gravel, which creates a scenario of a Pony Express arriving to a lone womans doorstop bearing some bad news: Sorry miss, but youve been dumped. The song turns into a wave of beautiful music with subtle sounds to the likes of a whistling train calmly passing in the night. The following song, Waiting for the Carnival," is the antithesis of the previous track. With its infectious, jovial pop, its less retro, more fun, and would work well in a montage sequence in a Ben Stiller romantic comedy. This is my favorite song on the album because it is so uplifting, and the carnival is a possible metaphor for a relationship --a safe haven for a couple to concentrate on their fledging relationship while escaping reality. The unhurried love songs never succumb to being filled with too much saccharine or sentimentality, but instead are presented with retrospection and dream infusion. The final track is Make Out Song and it is also the longest track on the record clocking in at over five minutes. The band uses its instruments to create a lullaby, a peaceful descension into sleep. The song takes its time to build up to the remarkable: First time I kissed you, I almost died/So maybe its more than love now. The tambourine, played by producer Brian Paulson, adds a nice definitive effect. 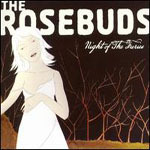 The Rosebuds magnificent album cover containing a solitary and pristine white horse evokes the romantic notion of the knight on the white horse, but without the knight. A good album cover can be a premonition to an enjoyable album, but like the saying goes: You cant judge a book [or record] by its cover. Fortunately, in this case you can; Ivan Howard and crew have successfully intertwined classic pop with harmonious love songs, but on their next album, Id hope some of the kitsch would be replaced with more satiating and long-lasting choruses.